This recipe is quick & simple to make and is absolutely oozing with Mexican flavours. 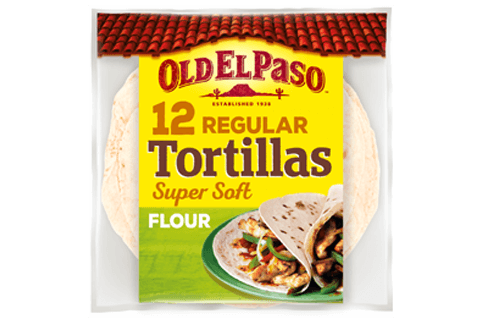 Made with shredded chicken on Old El Paso’s soft flour tortilla. It’s topped with shredded lettuce, salsa and sour cream. This delicious meal can be made quickly and is tailored for those who want a tasty, home cooked meal quickly. Perfect as a quick and tasty meal for dinner or lunch with family and friends. Place oil in large frying pan over a medium heat, add the chicken and cook until chicken is cooked throughout – it should turn golden in colour no longer be pink inside. Take off the heat and transfer to a bowl. Then using 2 forks, gently pull apart and shred the chicken. In a large saucepan, heat the salsa and water until it comes to the boil. Stir in your cooked rice (follow instructions on pouch) and leave to stand for 5 minutes, take off the heat. Stir in your chicken and garlic powder to your rice mixture. Piece the packaging on the soft flour tortillas and warm in the microwave for 35 - 45 seconds. 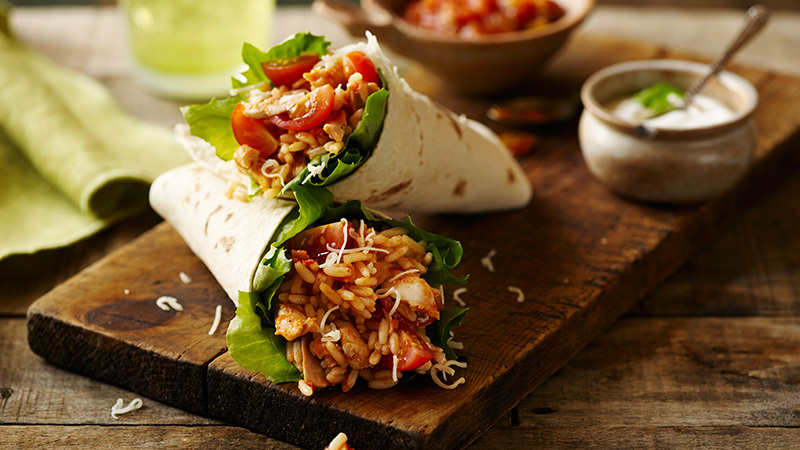 Spoon chicken and rice mix onto each warm tortilla, and top with some mixed lettuce leaves. Sprinkle with cheese, and a dollop of cool soured cream topping. Fold and roll your tortilla and serve to your friends and family.